“Developing the insurance product was the easy part. The tweaking, monitoring, and adapting – that has been much more complicated.” This, in essence, was what Cornell development economist Christopher Barrett informed us as we began discussing our upcoming Kenya research trip with him. He was right. 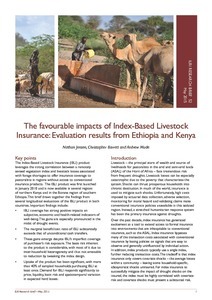 Since the International Livestock Research Institute (ILRI) formulated Index-Based Livestock Insurance (IBLI) ten years ago, the product has been lauded as a strategy to prevent drought-induced livestock losses among Kenyan and Ethiopian pastoralists. By combining satellite observations of forage conditions with longitudinal livestock mortality rates, it calculates clients’ seasonal payouts. 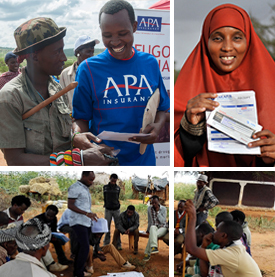 While by and large successful – and already showing evidence of positive impacts on pastoralists’ wellbeings – the rollout of IBLI has faced numerous challenges, as Takaful Insurance of Africa, IBLI’s current private sector partner, can attest.